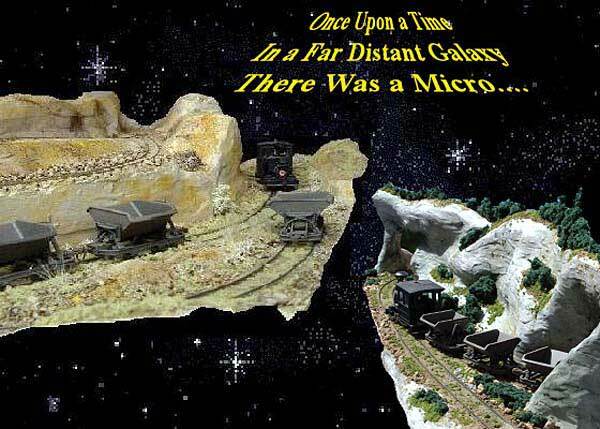 In March, Brian Wilson, from Sidney, BC, Canada, showed us his design for building a micro layout on the knockout from his kitchen sink remodeling project. Since then he has digressed somewhat and progressed quite a lot. His update is presented here — trackage complete, scenery roughed in, trains running, ready for detailing! Oh, and a slight change of location. Stay tuned for more! 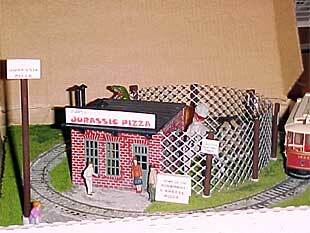 Trackage is Atlas HO flex track, and the pizza ingredients came from ToysRUs. The base is 1″ extruded foam. Last November, we featured a wonderful fantasy layout from Germany called Lummerland, built by Helmut Heinert and modeled after the characters and scenes in the book, Jim Button and Luke the Engine Driver, by Michael Ende. The O9 / On15 railway was limited to maximum dimensions of 120×80 cm (4’x2’8″), in order to fit into Helmut’s automobile. Since then, Lummerland has traveled extensively for exhibitions…and these photos show how. Photographer Wolfgang Dudler comments, “Helmut owns a Mercedes class A, so you can slide Lummerland like a huge cheese box right into the car. ” Prior Planning Pays!! Incidentally, Wolfgang’s own U.S.-prototype layout, Westport Terminal, described here, is another example of excellent advance planning. 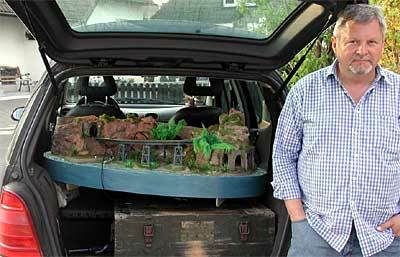 The 12-foot-long switching-layout portion folds into a four-level box that fits comfortably in his car — along with a box of structures and five legs! “Maerenwynhirachnarllwyfanyma” was built by 17-year-old Chris “C.J.” Morgan of the Barry and Penarth Club, Wales. Terry Allen shot these pictures at the recent Bristol Model Railway Exhibition and kindly sent them along with a little information about the project. The line is about 18″x12″ (45×30 cm) in OO standard gauge. The layout illustrates a number of things. One is the mystique of a name in a foreign language (as Welsh is to most of us! ), I can tell you in confidence that the translation is clearly visible in a layout photo. 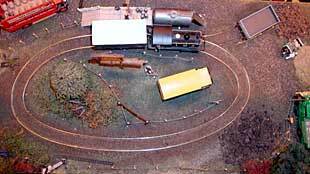 Another is the way a layout can be designed to show off collections of road vehicles right beside the trains. A selection from C.J.’s collection is shown here. Another item illustrated is what a tiny radius a small locomotive and 4-wheeled wagon (car) can handle in (16.5mm gauge). Radii are highly variable in this plan, but reach as low as about 2″. The loco, an 0-4-0 Hornby “Pug” steam switch engine (similar to a U.S. Dockside), handles even the tightest radii comfortably (though not at dead-slow speeds) as does the standard wagon which is attached with a long chain coupling. 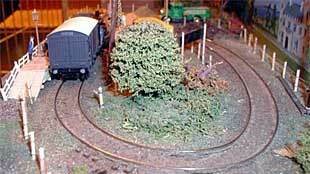 The story of the layout is that the railway represents the hobby of the local lord whose stately home is part of the backscene. The “platform” (than which the name is longer) is for passengers, beside the Shell tank.